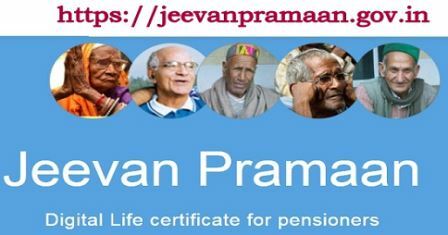 The Government has asked banks to achieve weekly targets set for the purpose of enabling “Jeevan Pramaan” – an “Aadhaar-based Digital Life Certification system for Pensioners so as to cover at least 50% in next 2-3 weeks. Pensioners can approach their paying branches with the PPO, Aadhaar card and bank pass book for trouble-free seeding of Pensioners’ Aadhaar number in their bank account. Various steps are being taken by the Government to sensitize pensioners and bank branches to link up the Aadhaar number, PPO number and bank account number. All pension disbursing banks observed 1st to 7th August, 2015 as ‘Aadhaar Seeding Week for Pensioners.’ All through the week, priority was given to pensioners visiting the bank branches for seeding Aadhaar number in their bank account. 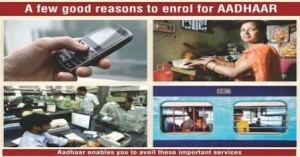 Besides, five camps were organised from 13th to 17th July, 2015 at different locations covering Delhi, NOIDA and Faridabad to facilitate seeding of Aadhaar number in the bank accounts of pensioners. All banks participated in these camps. 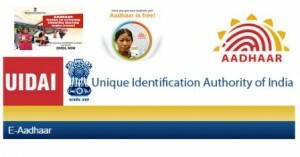 Facility was also provided by UIDAI for on-the-spot registration for Aadhaar numbers. Conventionally, pensioners are required to give a Life Certificate to the pension disbursing authority in November, every year – either by presenting themselves before the Branch Manager or by means of a Certificate issued by a Gazetted Officer or other designated authorities. 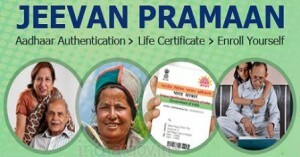 The “Jeevan Pramaan” – an “Aadhaar-based Digital Life Certification system with an objective to facilitate on-line submission of Life Certificate by pensioners, was launched by the Prime Minister Shri Narendra Modi on 10th November, 2014. This facility is in addition to the other existing methods of submitting Life Certificates. It is hoped that all pensioners who have Aadhaar numbers will make use of this additional facility of biometric life certification. With “Jeevan Pramaan” the pensioners and family pensioners need not visit the pension disbursing agency or Gazetted/designated authority for submission of Life Certificates. 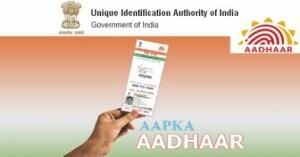 The Life Certificates may be submitted from personal computers and laptops at home or by visiting a conveniently located Common Service Centre or the nearest branch of any pension disbursing bank. There are about 55,000 branches of pension disbursing banks and 40,000 Common Service Centres throughout the country. 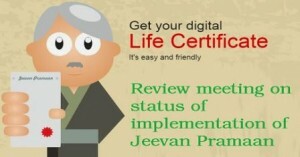 Submission of Digital Life Certificate also ensures authenticity of pension payments. In 2016 I had suggested to the authorities to look in to the possibility of giving digital life certificate facility to holders of iPhones and Mac etc. as at present only android phone users or computers with Windows can only submit their life certificates. It will go a long way if this suggestion is looked into. Thanks!